Sales of orange juice increased for the first time in nearly five years in January. 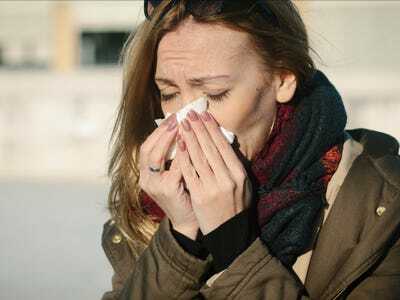 The sales spike can be attributed to an especially brutal flu season, The Wall Street Journal reported. Though many Americans once perceived orange juice as a healthy drink, many now see it as a con, citing its high amounts of sugar and carbs. Orange juice just had its first sales spike in nearly five years, thanks to an especially brutal flu season. Sales of the drink rose by 0.9%, to 38.7 million gallons, in the four weeks ending January 20, The Wall Street Journal reported, marking the first time since 2013 that Nielsen data showed a year-over-year increase in sales. The US orange juice market has decreased by about 50% since 2001,Nielsen data shows. Sales have declined in recent years as health and diet trends have shifted away from the drink and juice in general. “In terms of its nutritional profile, juice isn’t too much better for you than a glass of soda or any other sweetened beverage,” Business Insider’s Erin Brodwin reported in 2016. A 12-ounce glass of orange juice contains 153 calories, 27 grams of sugar, and 34 grams of carbohydrates. That is the same number of carbs as a bag of M&Ms, and only three fewer grams of sugar. While many Americans are eager to cut calories and sugar from their diet by ditching orange juice, flu season has some returning to it in a frantic effort to avoid the illness – though the National Institutes of Health says there is no evidence that drinking orange juice protects people from the flu, The Journal reported. According to the Centres for Disease Control and Prevention, this year’s flu virus has led to more hospitalizations than any previous year on record.